MI6 Competition: MI6 has teamed up with 20th Century Fox to give lucky readers the chance to win copies of "SPECTRE" on DVD, signed by Miss Moneypenny, Naomie Harris. The DVD includes double-oh-seven video blogs from the production, whilst the Blu-Ray includes an exclusive mini-doco about the making of the spectacular pre-titles sequences set in Mexico City. 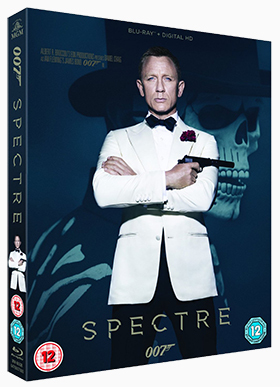 What does the 'C' stand for in the acronym 'SPECTRE'? Terms & Conditions: The competition closes at midnight GMT on 27th March 2016. MI6 will choose the winners at random from the correct answers received. The winners will be contacted via the email address supplied and their postal address will be requested. If a winner fails to respond within 7 days of prize notification, another winner will be chosen until all prizes are allotted. Competition is open to MI6 readers worldwide. Entrants must be at least 13 years of age.